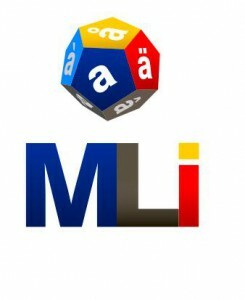 MLi is a Support Action from the European Commission, intended to provide the foundations of a scalable platform for the joint development/enhancement and hosting of (multi-)language data sets, processing tools and basic services. MLi is working to deliver the strategic vision and operational specifications needed for building a comprehensive European MultiLingual data & services Infrastructure, along with a multi-annual plan for its development and deployment, and fostering multi-stakeholder alliances that help ensure its long term sustainability. In that regard, the group of experts behind this action (INMARK, ATOS, DCU, ELDA, ESTEAM, TILDE and USFD) are looking at all relevant dimensions of the MLi, that is, technical aspects, managerial considerations and strategic directions for the years to come. Bearing all this in mind, MLi is looking at needs, achievements and results from on-going and recently finished actions/initiatives (e.g., META-NET), as well as discussing with strategic stakeholders and Digital Service Infrastructures (DSIs) in order to to collect that kind of information. A first jet of interviews and information collection is currently being documented in the action's deliverables. In particular, the analysis has looked so far at the needs and requirements of institutions such as MT@EC and Europeana, DSIs with very challenging multilingual needs involving the area of Machine Translation (MT). ELDA/ELRA is leading WP3 (Resources), which looks at all aspects around Language Resources (LRs), both in terms of data and software, and with a focus on EU languages as well as languages of major EU partners. The work carried out within this WP is objective-driven and focuses on the analysis of the current situation in Europe, taking into account its linguistic reality, and providing a thorough inventory of both existing resources and resource types required by the different stakeholders, thus identifying major gaps and potential sources of materials. An interesting point within this analysis is its MT language-pair approach, which allows us to look at needs but from a realistic, practical, gap-focused point of view in the multilingual scene. This is particularly complex when languages with limited or fragmentary LR availability are being taken into account. Furthermore, legal aspects will also be considered, providing guidance on data and software availability and constraints for the data sharing and reusing models to be defined. MLi has been present in a number of events these past few months, such as LREC 2014, in Reykjavik, Iceland in May, and at the European Language Cloud Workshop of the LT-Innovate Summit in June.